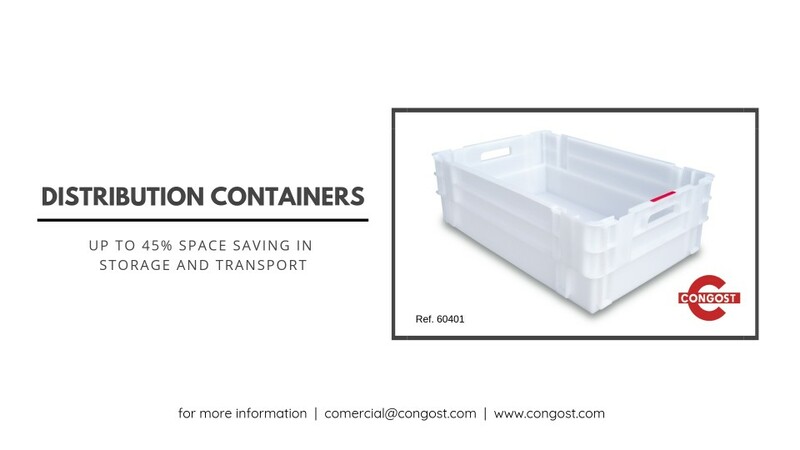 Congost Plastic presents you its distribution container. Nestable up to 45% for great space saving, in storage and transport. Completely ergonomics, resistant to oil and acids, high and low temperatures. Thanks to its ergonomic handle grips, easy to move. Manufactured in HDPE with food certificate. It has vertical walls for the maximum useful volume. Our distribution container has its own dotted surface to place adhesive labels which allow them to be customizable for desired logo and brand. Interpilable with all Euro size models. Thank you for visiting us at Traffex 2019! We’ll be exhibiting at Traffex!